PHOTO: Allen Ramsey, DWCPhoto.com. Highlands senior Jacob Noe (23) puts up a shot in a recent game. The Highlands Bluebirds boys basketball team wanted to end 2017 with a .500 record. The Bluebirds built another nice lead in the third quarter and had to hold on at the end to beat the Anderson County Bearcats (4-8), 62-59 to finish fifth in the Gateway Holiday Classic at Montgomery County on Saturday. 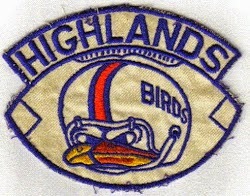 Highlands is 6-6 on the year. PHOTO: Allen Ramsey, DWCPhoto.com. Highlands junior Hanna Buecker (20) goes up for the score in front of Conner's Maddie Burcham (22) while Savannah Jordan (14) watches. Highlands lost 51-41 in the title game of the LaRosa's Holiday Classic. It came by the slimmest margin possible. But that's all the Highlands Bluebird boys basketball team (5-6 overall) needed in a 49-48 win over the Powell County Panthers (5-5) from the 14th Region on Friday in the 11th Annual Gateway Holiday Classic at Montgomery County. Powell County veteran Head Coach Dave Fraley led the Pulaski County Maroons to the state championship in 1986. PHOTO: Allen Ramsey, DWCPhoto.com. 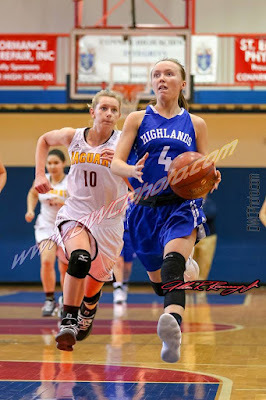 Highlands senior guard Brooke Dill (4) goes in for a shot while Cooper senior guard Lexi Held (10) pursues. Highlands advanced to the championship game of the LaRosa's Holiday Classic with a 68-57 victory over the Lady Jaguars. Highlands faces host Conner for the title at 3:30 p.m. Friday. It was more about advancing to the championship game of the seventh annual LaRosa's Holiday Classic at Conner for the fourth time since its inception more than anything else. PHOTO: Allen Ramsey, DWCPhoto.com. 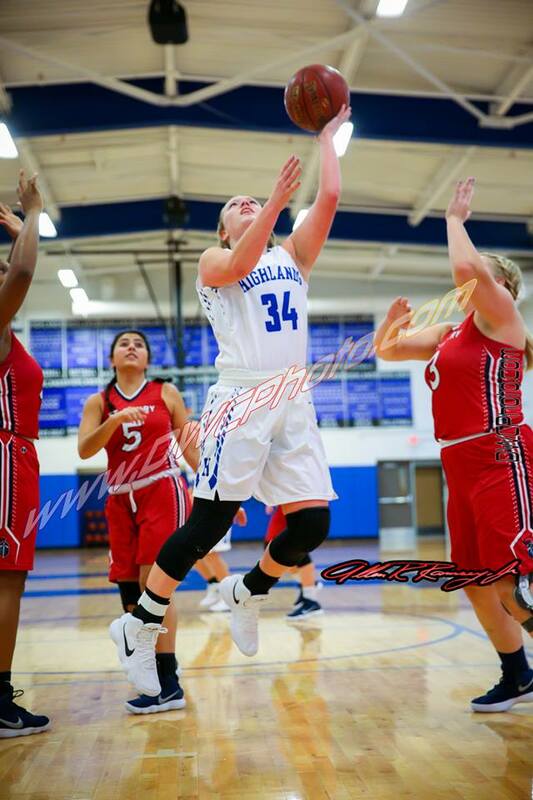 Highlands junior Chloe Jansen (34) sets up for a three-point try in the win over Fern Creek on Wednesday. Jansen had nine points, four rebounds, five assists and three steals in the win. 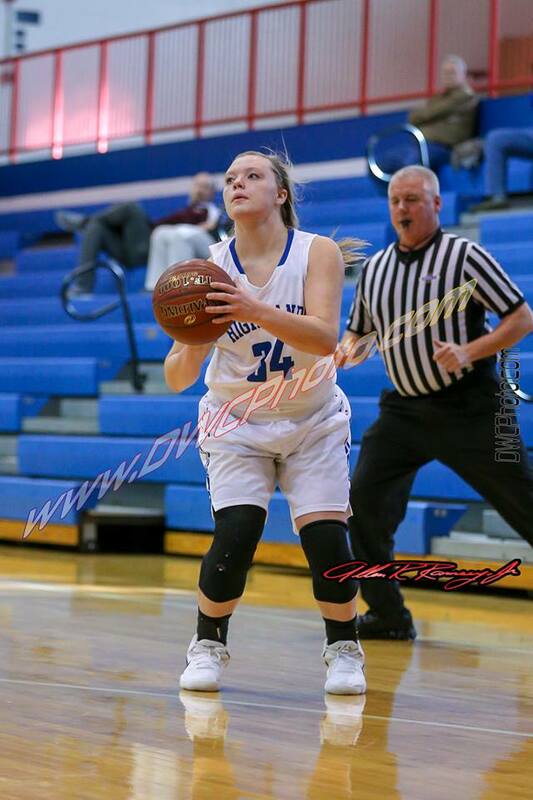 The Highlands Bluebirds girls basketball team (8-4 overall) opened the 7th Annual LaRosa's Holiday Classic at Conner with an impressive victory. 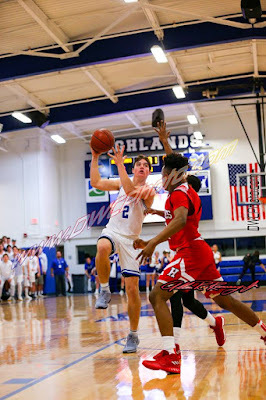 Highlands pulled away from the Louisville Fern Creek Tigers (7-5) by a 70-46 count using a 24-11 blitzing in the second quarter. 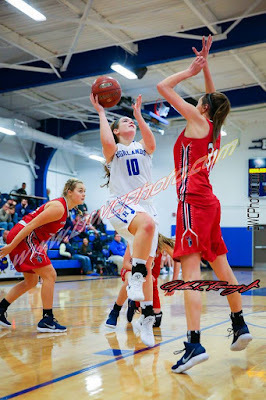 The Bluebirds expanded a 19-18 deficit to a 42-30 halftime lead and extended it to 57-40 after three quarters. PHOTO: Allen Ramsey, DWCPhoto.com. Highlands junior Zoie Barth (10) drives in for a score in a recent game. 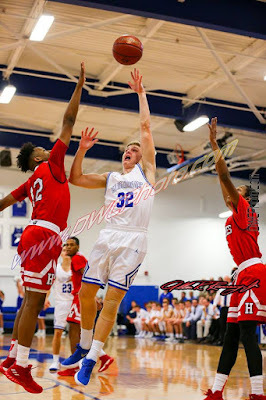 Barth had 19 points, seven steals and two blocked shots as the Bluebirds beat Hazard, 51-35 to conclude the Traditional Bank Holiday Classic at Lexington Catholic. 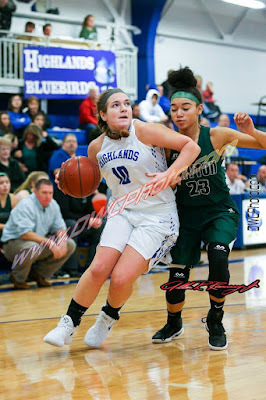 The Highlands Bluebirds girls basketball team (7-4 overall) came away from the Traditional Bank Holiday Classic at Lexington Catholic with perhaps its biggest win of the season. The Hazard Lady Bulldogs (7-3) came into the event on a five-game winning streak including a huge win over 9-2 Clay County. 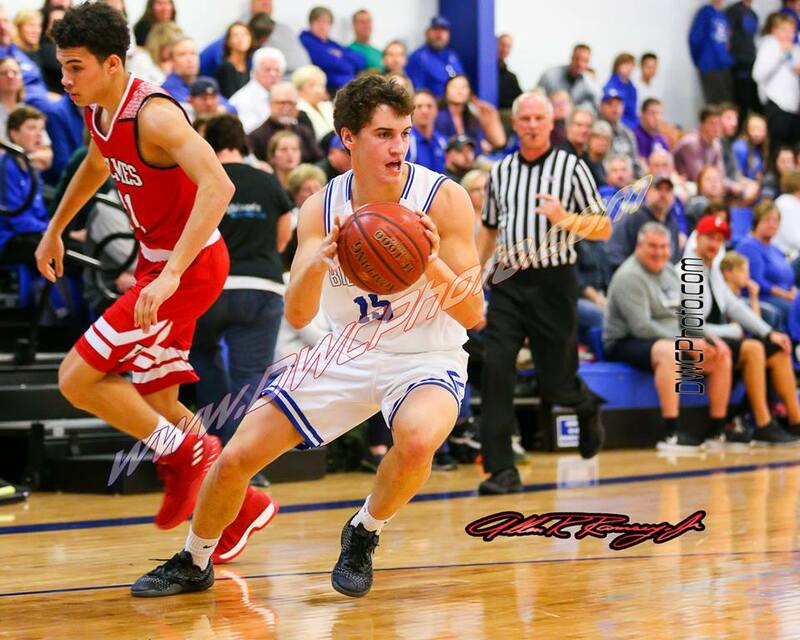 Hazard beat Scott, 66-65 in double overtime before losing 69-48 to Scott County in the first two games of the classic. The Lady Bulldogs then exploded for an 88-59 win over Cooper on Friday. Cooper eliminated Highlands from the 9th Region Tournament last year. But Highlands put together a strong showing to beat the Lady Bulldogs, 51-35 to conclude the classic with a 2-2 record. Hazard has not been to the 14th Region Tournament since 2005, but does have three region championships to its credit and a state championship in 1997. "We told the girls when we drove back down that we wanted to end the tournament with a win," said Jaime Walz-Richey, Highlands Head Coach. "It was a possibility that we should win this game. They came out, defended well and executed offensively." PHOTO: Allen Ramsey, DWCPhoto.com. Highlands freshman Rory O'Hara (35) puts up a shot in a recent game. 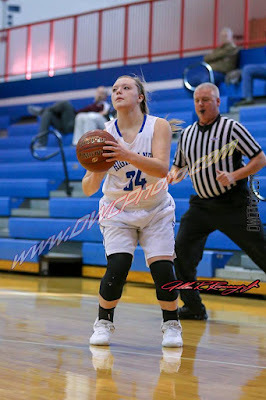 O'Hara scored 10 points and grabbed six rebounds in the loss to Ashland on Friday. 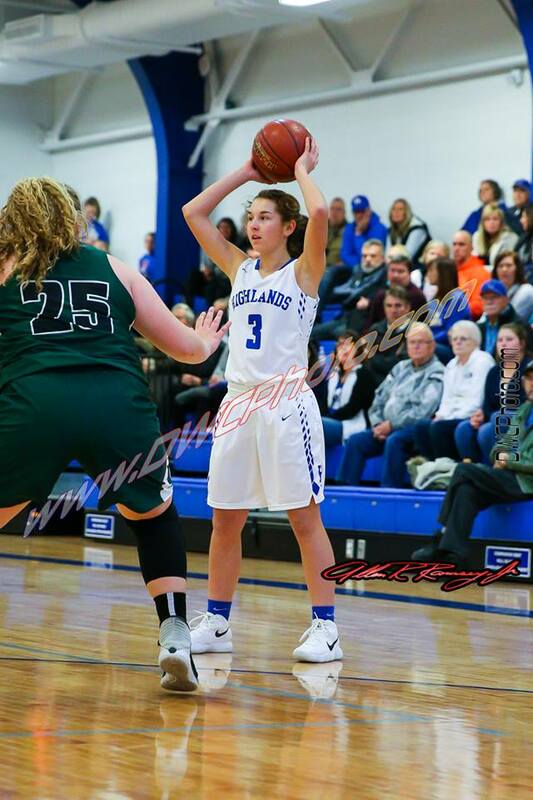 The Highlands Bluebirds girls basketball team (6-4 overall) faced another squad from the 64th District on Friday and the result mirrored the one Thursday. Highlands could not do enough to pull out the victory losing again by three points, 54-51 to the Ashland Blazer Kittens (8-2). 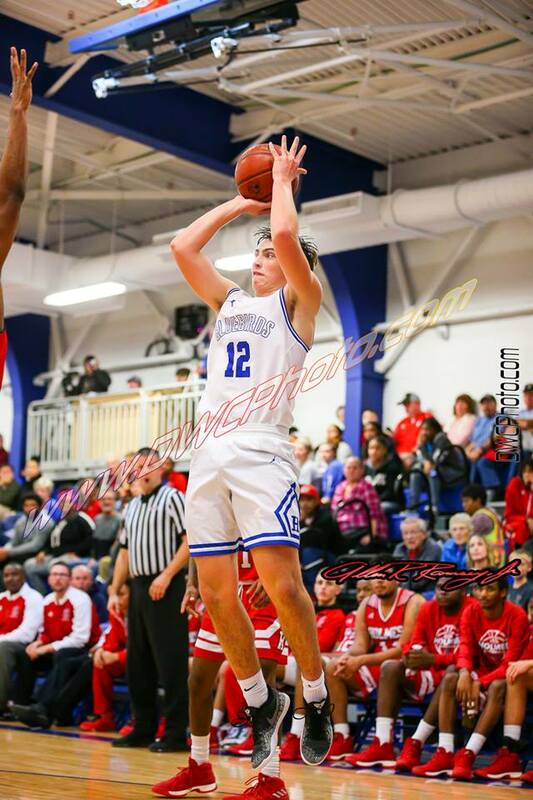 It marked the third day of the Traditional Bank Holiday Classic at Lexington Catholic. PHOTO: Allen Ramsey, DWCPhoto.com. The Highlands girls basketball team came up three points short against undefeated Boyd County on Thursday. Pictured from left are Chloe Jansen, Zoie Barth, Brooke Dill, Rory O'Hara and Hanna Buecker. 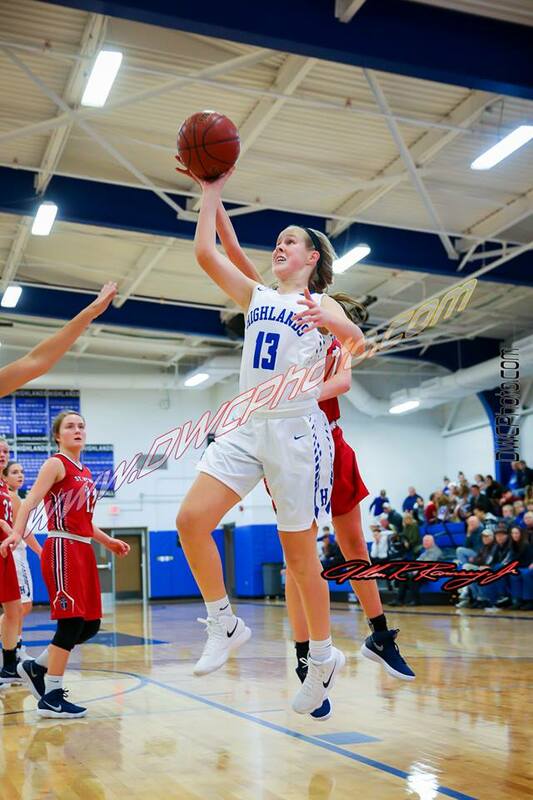 The Highlands Bluebird girls basketball team (6-3 overall) gave a valiant effort Thursday against the undefeated Boyd County Lady Lions (8-0) in the Traditional Bank Holiday Classic at Lexington Catholic. PHOTO: Allen Ramsey, DWCPhoto.com. Highlands freshman Kenzie Nehus (3) looks to make a pass in a recent game. It had been six days since the Highlands Bluebird girls basketball team played because of finals. 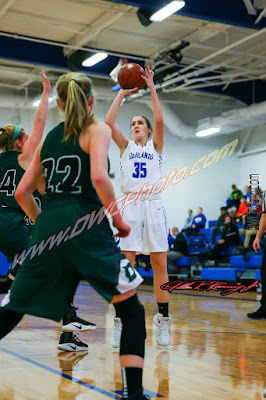 But Highlands (6-2 overall) overcame the rust after the first half against the host Lexington Catholic Lady Knights (4-3) to record a 52-44 victory to open the Traditional Bank Holiday Classic. Highlands will play no less than four games in the tournament. PHOTO: Allen Ramsey, DWCPhoto.com. Highlands junior Austin King puts up a shot in a recent game. The Highlands Bluebird boys basketball team evened its record at 4-4 overall with a narrow 50-48 win over the Bishop Brossart Mustangs (3-4) on Saturday. PHOTO: Allen Ramsey, DWCPhoto.com. Highlands junior Nate Roberts goes up for a shot in a recent game. Roberts had eight assists in the win at Ludlow on Thursday. Head Coach Kevin Listerman said it speaks volumes for how unselfish this Highlands Bluebirds boys basketball team has become. PHOTO: Allen Ramsey, DWCPhoto.com. Highlands freshman Emma Mallery dribbles toward the basket in a recent game. 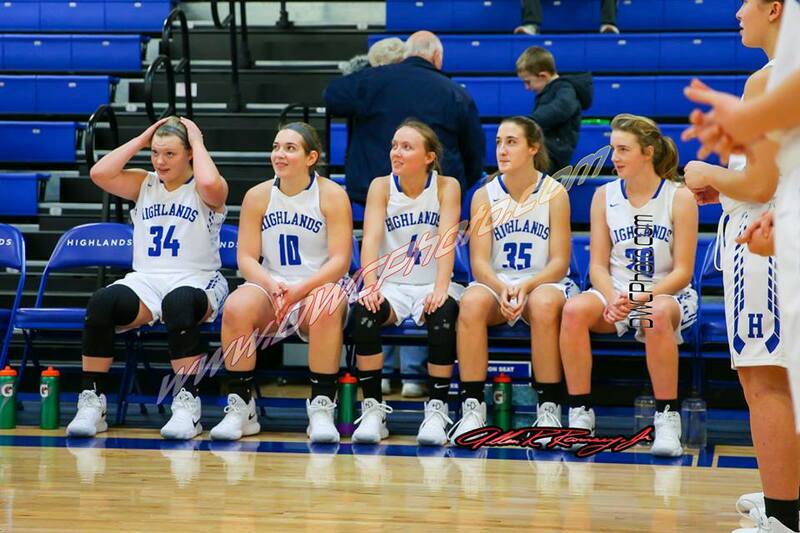 The Highlands Bluebird girls basketball team (5-1 overall) moved to 3-0 in 9th Region action and 2-0 in 36th District play with a convincing 70-28 win at Bellevue on Tuesday. PHOTO: Allen Ramsey. DWCPhoto.com. Highlands senior Griffin Huber (15) makes a move in a recent game. Highlands won its second in a row Monday with a 77-47 win over Trinity Grammar from Sydney, Australia. The Highlands Bluebird boys basketball team (2-4 overall) would not mind seeing more lopsided games in their favor like this. PHOTO: Allen Ramsey, DWCPhoto.com. The Highlands Co-Ed A Competitive cheerleading squad finished fourth in the state competition on Saturday. 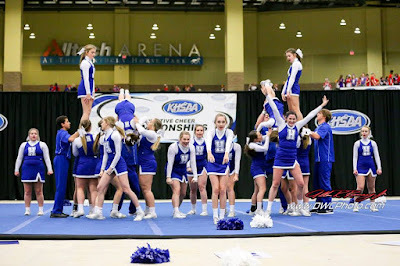 The Highlands competitive cheerleading squad finished fourth in the Co-Ed A Class over the weekend at Alltech Arena in Lexington scoring 77.5 points. 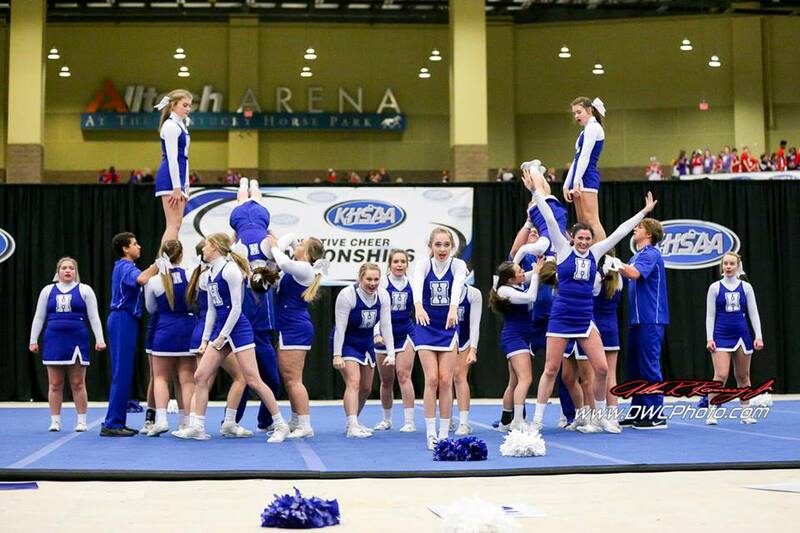 Bullitt Central won that class with 88.9 points. PHOTO: Allen Ramsey, DWCPhoto.com. Highlands junior Alex Starkey (32) goes up between two defenders for a shot in a recent game. 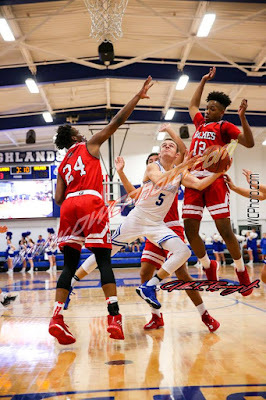 The Highlands Bluebird boys basketball team hit the road down to the 13th Region on Friday and came home with a 75-54 loss to the host South Laurel Cardinals. Highlands is still winless in four games. The Cardinals (4-0) led 26-10 after the first quarter, 45-21 at halftime and 56-40 entering the fourth quarter. PHOTO: Allen Ramsey, DWCPhoto.com. 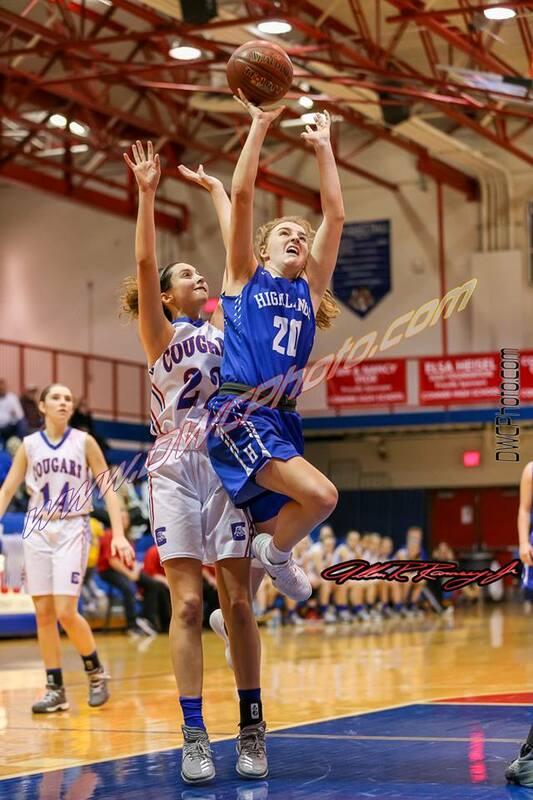 Highlands junior Zoie Barth goes up for a score in a recent game. Barth scored 11 points in the 68-13 win over Dayton on Tuesday. 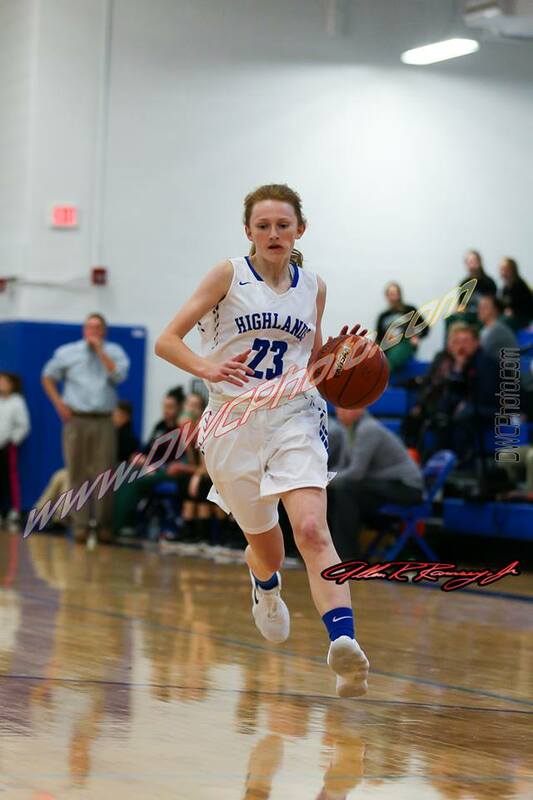 The Highlands Bluebirds girls basketball team struggled against a zone defense in the loss Saturday. PHOTO: Allen Ramsey, DWCPhoto.com. Highlands sophomore Maggie Hinegardner goes in for a score against St. Henry on Thursday. The Highlands Bluebird girls basketball team (2-1) lost for the first time this year by a 42-25 count to Kokomo (Indiana) Northwestern in the Hoops for Harvest Classic at Dixie Heights on Saturday. PHOTO: Allen Ramsey, DWCPhoto.com. Highlands senior guard Robby Gabbard (5) goes up for a score against Holmes earlier in the week. 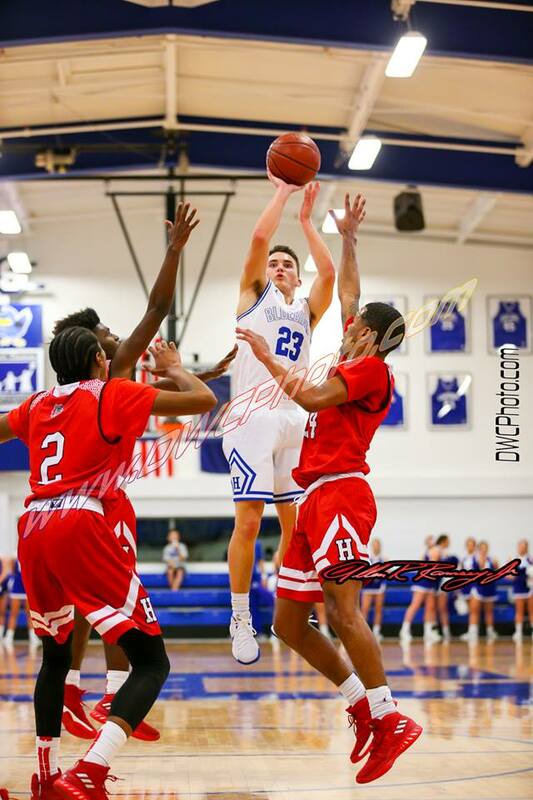 Boone County pulled away from the Highlands Bluebird boys basketball team (0-2 overall) to win 67-50 in Fort Thomas on Friday. PHOTO: Allen Ramsey, DWCPhoto.com. Highlands junior Chloe Jansen goes to her left for a score against St. Henry on Thursday. Things started off well for the hosts. The Highlands Bluebird girls basketball team (2-0 overall) scored the game's first 10 points and did not allow the St. Henry Lady Crusaders (0-1) a field goal until five seconds remained in the first quarter. But Highlands learned it needs to finish better in a 55-39 9th Region home win Tuesday.